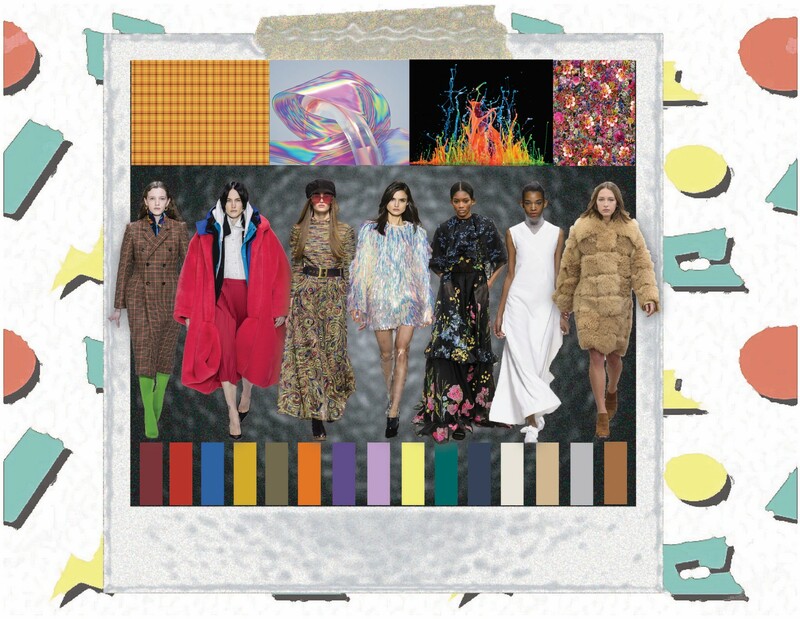 While conducting research for fall 2018 trends, we gathered different looks from the fashion runway. We noticed that the most popular trends were faux fur, plaid, floral, clean whites, transparent and iridescent, and oversized looks. The color palette and trends overall really captures individuality, ingenuity and creativity. 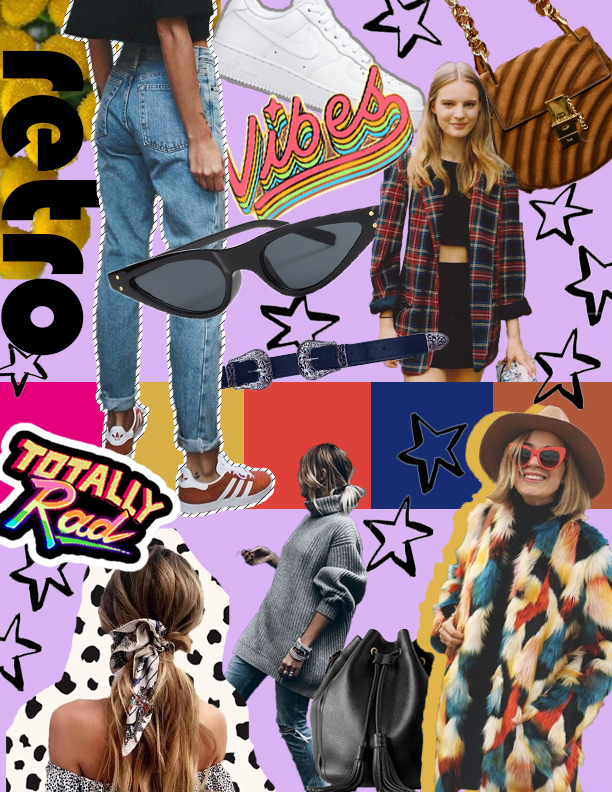 The 80s are coming back and we love it! When looking through the 2018 Fall runway photos I noticed a lot of retro patterns and items coming back into style!! 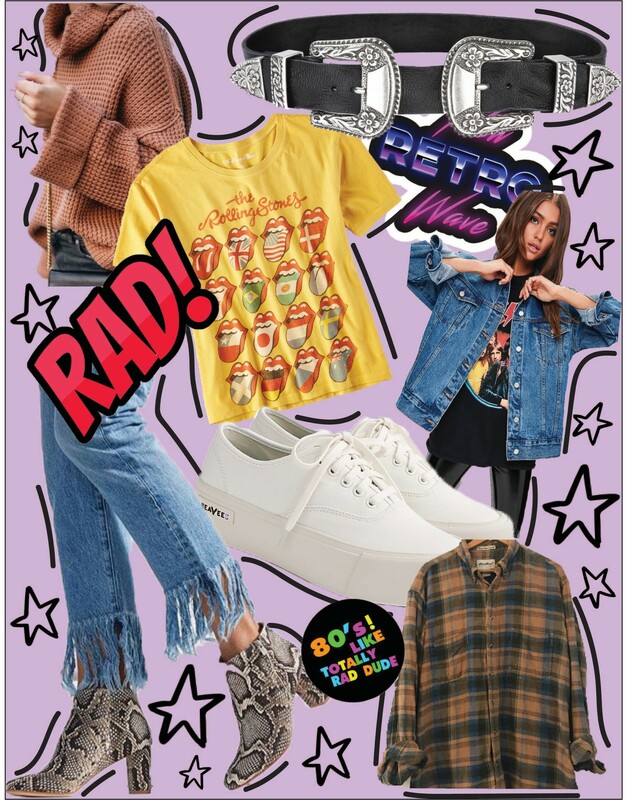 (Long live the 70’s and 80’s) Boyfriend jeans as well as anything over sized is a must and can easily be styled on anyone! I also have included colors that we have already been seeing more of along with a few popular accessories placed throughout the board. Some of these include the saddle purses, western belts, and of course a classic white pair of tennis shoes. I do believe fur coats will make a large come back this fall as well as fun plaid patterns! Fall 2018’s trends are totally rad! It is no lie that fashion is an evolution and not a revolution. As I looked at this upcoming season’s trends, I noticed that most of the trends are big and bold. Oversized sweaters and denim jackets, fringe pants, patterned booties, platform shoes, band tees and buckled belts are a must have for your fall wardrobe. It is all about being unique and being you!